The brains of three people have been successfully connected for the first time, allowing them to share thoughts, a team of neuroscientists have confirmed. The three-way brain experiment has so far allowed participants to play a Tetris-style game, and could be scaled up to connect whole networks of people in the near future. 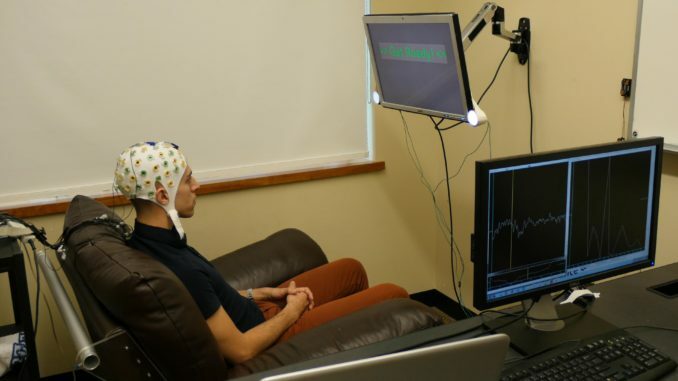 Sciencealert.com reports: It works through a combination of electroencephalograms (EEGs), for recording the electrical impulses that indicate brain activity, and transcranial magnetic stimulation (TMS), where neurons are stimulated using magnetic fields. The same group of researchers has previously been able to link up two brainssuccessfully, getting participants to play a game of 20 questions against each other. Again, phantom phosphene flashes were used to transmit information, in this case “yes” or “no”.